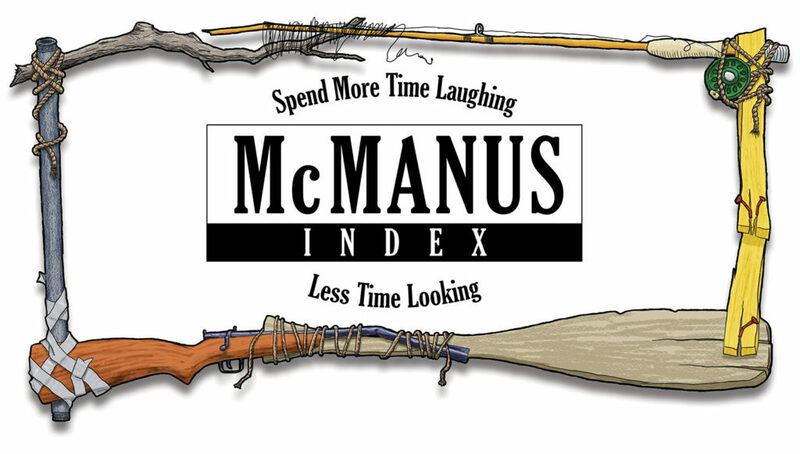 McManus Index is a resource for fans who have all—or most—of his books, and find it difficult to locate their favorite stories. You want to spend more time laughing and less time looking. 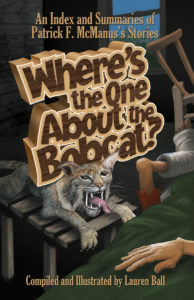 The main tool to help you find that elusive story is my book, Where’s the One About the Bobcat? I’ve spent 15 years indexing his stories and helping people find their favorite ones. 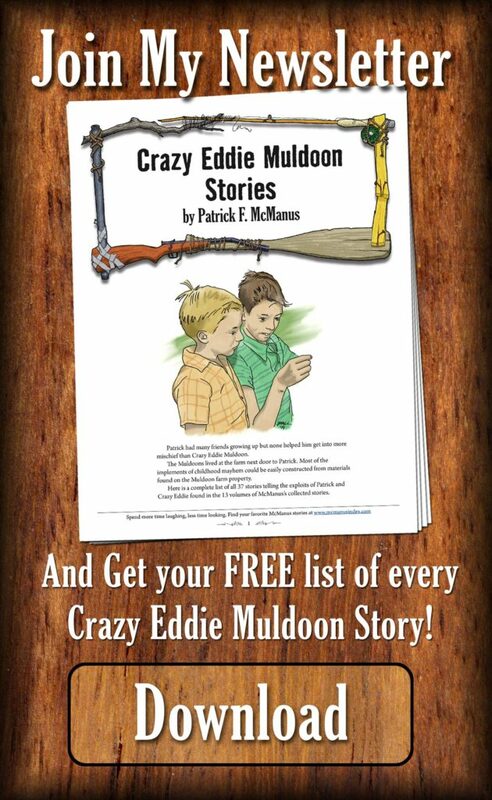 Here’s a short intro explaining what McManus Index is all about: McManus Index Intro Sometimes I’ve even helped Patrick find stories he can hardly remember having written! Hardly a week goes by that we don’t receive a letter or email asking, “What book has the story about Rancid Crabtree and the giant bat? ?”… Any dedicated reader of my stories will find Lauren’s index an enormous time-saver in searching out a particular anecdote or story. 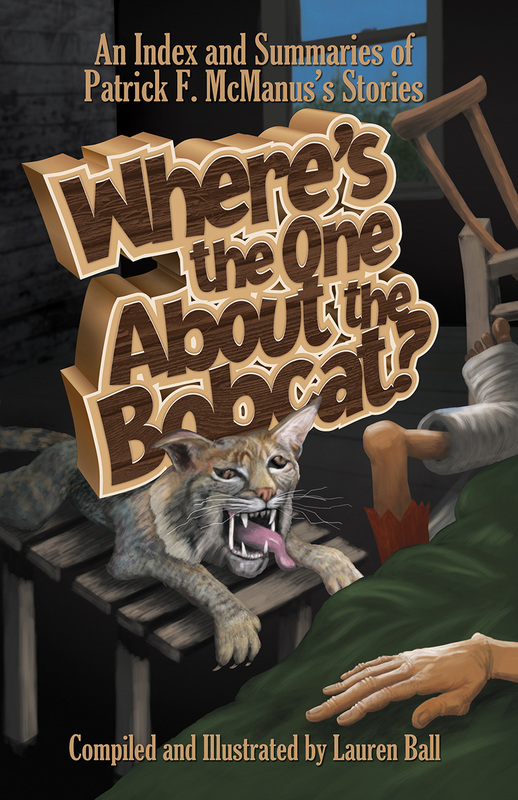 … “Where’s the One About the Bobcat?” has already saved us countless hours in answering requests from dedicated readers of my stories, and I highly recommend it to such readers. Patrick F. McManus From the Forward, Where’s the One About the Bobcat? Sometimes you just need a little extra help to jog your memory. You might be looking for that story about hunting blackberries, but really it was huckleberries. We all mis-remember things, so use the McManus Index Quick-Find a Story form and let me help you find that particular story. If you’re looking for unique, customizable gifts for that special outdoor person in your life, be sure to visit our Bim Toggle Store!